It can be hard to resist the power and sweetness of soda. It’s so hard we still indulge in it despite the knowledge that it’s bad for us. In the US alone, the average American consumes about 56 gallons of soda every year. Some people even reveal they drink more soda than water every day. Sodas are multi-billion businesses that continue to flourish due to people’s predilection for guilty pleasure. They also make up the quarter of all drinks consumed in the US. With people’s high consumption of soft drinks every year, it becomes crucial to examine how such drinks can impact health. Unfortunately, research determines that even moderate consumption of soda can cause serious health repercussions. A can of soda constitutes to 10 teaspoons of sugar! This quantity, particularly in liquid form, greatly increases the blood sugar and triggers an insulin response in the body. Eventually, this can cause diabetes or insulin resistance, as well as weight gain and other medical issues. 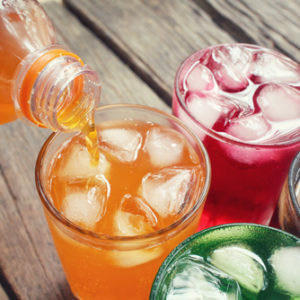 Phosphoric acid, which is part of any soda’s formulation, intervenes with the body’s capacity to absorb calcium, which means there can be osteoporosis, softening of the bones, and cavities as a result. This ingredient also interacts with stomach acid, delaying digestion and obstructing the assimilation of nutrients. In diet sodas for instance, aspartame is used instead of sugar, but it can actually be more detrimental. It has been associated with a hundred various medical illnesses, such as seizures, multiple sclerosis, brain tumors, diabetes, and even emotional impairments. It transforms to methanol at warm temperatures and methanol disintegrates to formaldehyde and formic acid. Moreover, diet sodas also boost the possibility of metabolic syndrome, which leads to belly fat, high blood sugar, and increased cholesterol. 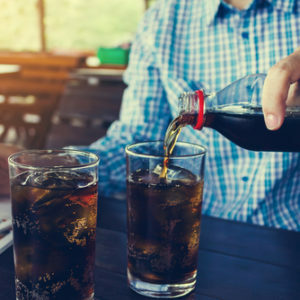 Nearly all sodas have caffeine, and caffeine has been associated with various health issues such as certain cancers, breast masses, unbalanced heartbeat, and high blood pressure, among others. Surprisingly, the water used in sodas is actually just tap water tainted with chemicals such as chlorine, fluoride, and even hints of heavy metals. Researches in Harvard have lately associated sodas with obesity. It was found in the study that 12 year olds who consumed soda had greater likelihood of being obese than those who didn’t. For every serving of soda drunk every day, the possibility of obesity also heightened 1.6 times. Soft drinks have High Fructose Corn Syrup. Though this comes from corn, this kind of corn is mostly genetically altered. Given this, there aren’t any scientific findings showing that genetically modified corn is safe since the genetic modification of crops only started in the 1990s. Plus, it has been reported that the procedure of producing High Fructose Corn Syrup includes mercury, which isn’t good at all. Sodas have no nutritional value. There aren’t any good sides that can outweigh the negative. It’s just all negative, actually. Everything in a soda is unnatural that contaminates the body. The high content of sugar, sodium, and caffeine in sodas makes it powerful when it comes to dehydrating the body. Eventually, this can even lead to chronic dehydration. Regular consumption of soda can lead to the accumulation of plaque on the teeth, causing cavities and gum disease. Sodas ruin your smile, apparently. Next ArticleWho Should Get Checked for STDs and How Often?